JNB Coal, a division of JNB Laboratories, handles fugitive dust control for coal-fired power plants. Although the core business of JNB is water treatment consulting, we have also been involved in fugitive dust control services for coal-fired utilities since 1982. 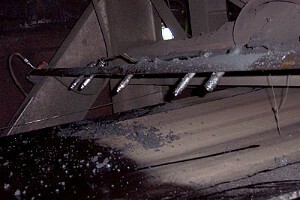 The reliable operation of coal conveyors is essential to the operation of coal-fired generating stations. 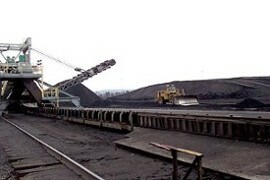 Some coal belts operate under difficult conditions, including confined spaces, inclines/declines, and complicated transfer stations along with scraper, etc. Normal coal belt operating conditions cause wear to belts and decreased belt life, and more difficult conditions can dramatically increase wear and decrease belt life. JNB's Belt Treat 2789 is a proprietary compound that constantly repairs the surface of belts and in doing so aids in the releasing properties of coal from the belt. The Belt Treat is applied to the belt using fine atomization, which essentially dries on contact. The enhanced surface properties of the belt protect belts by repairing rough areas and decreasing friction on contact areas like scrapers. Scraper tension can be reduced since the belt surface more completely releases in these areas. Fugitive dust in releasing areas is also significantly reduced and subsequently housekeeping. Fugitive dust control and coal washout are common problems with coal-fired power plants. Many coal-fired power plants maintain substantial inventory of coal for planned and unplanned interruption of coal supply. When inventory is high, dusting can become more of a problem. Depending on weather conditions, coal fines can easily travel to neighboring residents and businesses and coat equipment, vehicles, etc. When coal piles are subjected to heavy rain, large areas coal piles can be washed away out of containment areas and even into rivers and streams, etc. In order to eliminate fugitive coal dust and prevent washout, JNB has been successfully applying the proprietary crusting agent (Coal Seal 140) since 1982. JNB will provide and apply the material using an industrial hydroseeder. It is generally recommended that the material be applied quarterly to build and maintain a crust on the outer layer of coal. This crust prevents channeling areas that can facilitate washout and also fugitive dust. Decreased Loss of Coal Due to Channeling Run-off Etc.